Referring to a study in March 2017 by the Institute for the Future (Palo Alto, California), the Mosan Free University College (HELMo)  noted, at the start of the 2018-2019 academic year, that 85% of the jobs in 2030 have not yet been invented . The HELMo team rightly pointed out that population ageing, climate and energy changes, mass migrations and, of course, digital technologies, robotisation and other scientific advances are all drivers of change that will revolutionise the entire world. Highlighting its vocational emphasis as a higher education institution, it wondered whether the jobs for which it was training people today would still exist tomorrow. At the same time, its Director-President Alexandre Lodez, along with the teaching staff representative, lawyer Vincent Thiry, and the student representative, pointed out that HELMo did not only want to train human operational resources in response to a particular demand from the labour market, but also wanted to train responsible citizens capable of progressing throughout their careers and lives. Everyone was asking a key question: What, therefore, are the key skills to be consolidated or developed? I will try to answer this question in three stages. Firstly, by mentioning the global upheavals and their effects on jobs. Then, by drawing on a survey carried out by futurists and experts from around the world this summer, the results of which were summarised in early September 2018. And finally, by a short conclusion expressing utopia and realism. On the issue of technical and economic changes, we could proceed by mentioning the many contemporary studies dealing with this topic, including those by Jeremy Rifkin , Chris Anderson , Dorothée Kohler and Jean-Daniel Weisz , François Bourdoncle and Pierre Veltz and Thierry Weil . We could also describe the New Industrial Paradigm . Or, to reflect current events, we could even call on Thierry Geerts, head of Google Belgium, whose work, Digitalis  is very popular at present. But it is to Raymond Collard that I will refer. Former professor at the University of Namur, Honorary Director-General of the Research, Statistics and Information Service at the Ministry of the Wallonia Region – the current Public Service of Wallonia – and scientific coordinator of the permanent Louvain Research and Development Group, Raymond Collard was born in 1928, but his death in Jemeppe-sur-Meuse on 8 July 2018 was met with indifference by Wallonia. It was only through an email from my colleague and friend André-Yves Portnoff on 13 September that I learned, from Paris, about his death. On 15 March 1985, an article in the journal La Wallonie caught my attention. The title of this paper by Raymond Collard was provocative: Seeking Walloon pioneers! But the question was specific and could be asked again thirty-three years later: Are there, among the readers of this journal, men and women who can identify large or small businesses in Wallonia that truly live according to the principles of the “intelligence revolution”? The paper made reference to the presentation, in Paris, of the report drawn up by a team led by futurists: according to the report on the state of technology, we are witnessing the advent not of the information society, as is often said, particularly in Japan, but of the “creation society”, whose vital resource is intelligence and talent rather than capital. That is also why we talk of the intelligence revolution, a revolution which requires the harnessing of intelligence, something which cannot be done by force. The normal relationships between power and skills are altered at all levels. The report itself, entitled La Révolution de l’intelligence , complemented my reading of the works of John Naisbitt  and Alvin Toffler . It was described extensively by Raymond Collard. This relationship builder, as André-Yves Portnoff  called him, had travelled to Paris for the presentation of this document by Thierry Gaudin, civil engineer and head of the Centre de Prospective et d’Évaluation [Foresight and Assessment Centre] at the French ministry of Research, and Portnoff, then editor-in-chief of Sciences et Techniques, published by the French Society of Scientists and Engineers. The Minister for Research and Technology, Hubert Currien, and the Minister for Industrial Redeployment and Foreign Trade Edith Cresson were present at the event. Both were members of the government of Laurent Fabius while François Mitterrand was President of the Republic. It is not surprising that two ministers were present since the Centre de Prospective et d’Évaluation (CPE) was a service common to both ministries. After finding this report, then photocopying it in the library, I literally devoured it – and then bought it on eBay. In 2018, it spells out a first clear message: the upheavals we are experiencing today are not new, even if they seem to be gathering momentum. Another message from Thierry Gaudin is that the cognitive revolution, reflected in the changes underway, has been ongoing since the start of the 1970s and will continue for several more decades. I was not surprised then, as I am not surprised now. The conceptual context of the evolution of the technological system, leading to widespread change in all areas of society, is one I was familiar with. It had been taught to me at the University of Liège by Professor Pierre Lebrun, a historian and economist with a brilliant, incisive mind, whose astute words I would go and listen to, as one might listen to some freebooter down at the harbour. I taught this conceptual context to my students at Les Rivageois (Haute École Charlemagne) and at the High School Liège 2, and I teach it still at the University of Mons and even in Paris. Which is only fitting. The analysis model for this context was conceptualised by Bertrand Gille, a technology historian and Professor at the École pratique des Hautes Études in Paris. In it, the director of the remarkable Histoire des Techniques in L’Encyclopédie de La Pléade, at Gallimard , clearly showed that it was the convergence of the rapid changes in the levels of training among the population and the spread of scientific and technical knowledge that was the driver of the technological progress that brought about the engineering Industrial Revolution. It will come as no surprise that Bertrand Gille was also a former teacher of Professor Robert Halleux, who was himself the founder of the Science and Technology Centre at the University of Liège. In this way, Bertrand Gille left his mark on several generations of researchers, historians and futurists, some devoting themselves to just one of the tasks, others to the other, and still others to both. This model, which was reviewed by Jacques Ellul and Thierry Gaudin, imagines that the medieval technological system, highlighted by Fernand Braudel, Georges Duby and Emmanuel Leroy Ladurie, corresponds to an industrial technological system, which was the driving force and the product of an Industrial Revolution, described by Pierre Lebrun, Marinette Bruwier et al., and, finally, a technological system under development, under construction, fostering the Intelligence Revolution and far from over. Land was key in the first revolution, capital in the second, and the third is based on the minds of men and women. Each time, it is materials, energy, the relationship with living beings and time that are involved. – the new structure of time punctuated in nanoseconds by microprocessors. Raymond Collard explored all these points some time later in a remarkable speech to the first Wallonia toward the future Congress in Charleroi, in October 1987, entitled: Foresight 2007 … recovering from the crisis, changes in work production methods and employment, which is still available online on The Destree Institute website . In this speech, Collard, who was Professor at the Faculty of Economics and Social Sciences at the University of Namur, noted the following: it has been written that microelectronics is intellectualising industry. We are experiencing an industrial revolution that can be described as an “intelligence revolution”. The development of the possibilities created by the dramatic advances in microelectronics has opened up vast spheres to computer technology. Tomorrow, we will make greater use of artificial intelligence, which will be in evidence everywhere with the implementation of fifth-generation computers . “experience shows that the introduction of new technologies is harmonious only if the training comes before the machines” (p.15). “it is no longer possible to develop quality without giving each person control over their own work” (p.15). “giving a voice only to management means wasting 99% of the intellectual resources in the business” or the organisation. (…) Harnessing all the intelligence is becoming essential (p.42). “a successful company is one that is best able to harness the imagination, intelligence and desire of its staff” (45). “the new source of power is not money in the hands of a few, but information in the hands of many”. Quotation taken from the works of John Naisbitt (p.45). But, above all, the text shows, in the words of the German philosopher Martin Heidegger, that the essence of technology has nothing to do with technology . Everything in technology was first dreamed up by man, and what has been successful has also been accepted by human society, states the report . For this report on the state of technology is also a lesson in foresight. It reminds us, specifically through retrospect, that we are very poor at anticipating what does not already exist. Of course, as Gaston Berger stated on several occasions, the future does not exist as an object of knowledge. It exists solely as a land for conquest, desire and strategy. It is the place, along with the present, where we can innovate and create. We often mistakenly believe that technologies will find their application very quickly or even immediately. Interviewed in February 1970 about 1980, the writer Arthur Koestler, author of Zero and Infinity, envisaged – as we do today – our houses inhabited by domestic robots that are programmed every morning. He imagined electric mini-cars in city centres closed to all other forms of traffic. He thought that telematic communications would, in 1980, allow us to talk constantly by video so as to avoid travelling. Interviewed at the same time, the great American futurist Herman Kahn, cofounder of the Hudson Institute, imagined that, in 1980, teaching would be assisted by computers which would play, for children, an educational role equivalent to the role filled by their parents and teachers. The world continues to change, sustained, and also constrained, by the four poles. The transition challenges us and we are trying to give the impression that we are in control of it, even if we have no idea what we will find during its consolidation phase, sometime in the 22nd century. Which jobs will survive these upheavals? Such foresight concerning jobs and qualifications is difficult. It involves identifying changes in employment and jobs while the labour market is changing, organisations are changing and the environment and the economic ecosystem are changing. But it also involves taking into account the possible life paths of the learners in this changing society , anticipating skills needs and measuring workforce turnover. What we have also shown, by working with the area authorities, vocational education institutions and training bodies is that it is often at micro and territorial level that we are able to anticipate, since it seems that the project areas will be required, in ten to fifteen years at the latest, to be places for interaction and the implementation of (re)harmonised education, training and transformation policies for our society, with varying degrees of decentralisation, deconcentration, delegation, contractualisation and stakeholder autonomy. It is probably the latter context that will be the most creative and innovative, and one in which progress must be made. 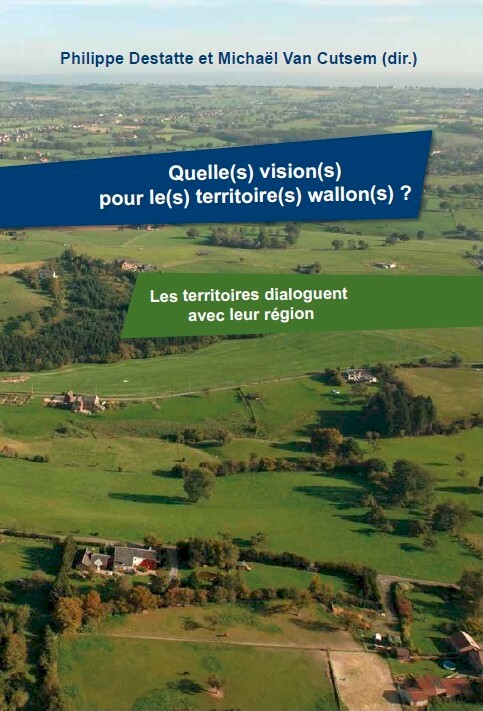 This requires cohesive, inspirational visions per area at the European, federal, regional and territorial level. In leading the permanent Louvain Research and Development Group since the mid-1960s, particularly with the help of Philippe le Hodey and Michel Woitrin and the support of Professor Philippe de Woot, Raymond Collard had successfully set up and operated a genuine platform of the sort advocated by the European Commission today. Referring, as always, to Thierry Gaudin, he noted in 2000 that understanding innovation means grasping technology, not in terms of what is already there but in terms of revealing what is not yet there . And although Raymond Collard recognised that this required a considerable R&D effort, he observed that this was not enough: as an act of creation which the market has to validate, innovation is the result of an interdisciplinary and interactive process, consisting of interactions within the business itself and between the business and its environment, particularly in terms of “winning” and managing knowledge and skills . With, at the heart its approach, the idea, dear to François Perroux and highlighted by the work of the Louvain Research and Development Group in 2002, that a spirit is creative if it is both open and suited to combining what it receives and finding new combinatorial frameworks . This thought is undoubtedly still powerful, and will remain so. Like any historian, the futurist cannot work without raw material, without a source. For the latter, collective intelligence is the real fuel for his innovative capacity. To that end, in 2000, The Destree Institute joined the Millennium Project. This global network for future studies and research was founded in 1996 in Washington by the American Council for the United Nations University, with the objective of improving the future prospects for humanity. It is a global participatory think tank, organised in more than sixty nodes, which are themselves heads of networks, involving universities, businesses and private and public research centres. Since 2002, The Destree Institute has represented the Brussels-Area Node which aims to be cross-border and connected with the European institutions . In preparation for a wide-ranging study entitled Future Work/Technology 2050, the Millennium Project Planning Committee drafted some global scenarios to which they sought reactions from around 450 futurists and other researchers or stakeholders. A series of seminars was organised in twenty countries in order to identify the issues and determine appropriate strategies to address them. It was on this basis that a series of real-time consultations with experts (Real-Time Delphi) was organised on issues of education and learning, government and governance, businesses and work, culture and art and science and technology. From a series of 250 identified actions, 20 were selected by the panel of experts in the field of education and learning. The complete list of the 20 actions is shown below. I have ordered them, for the first five at least, according to their level of relevance – effectiveness and feasibility –, as they were ranked by the international panel. 4. Increase focus on developing creativity, critical thinking, human relations, philosophy, entrepreneurship (individual and teams), art, self-employment, social harmony, ethics, and values, to know thyself to build and lead a meaningful working life with self-assessment of progress on one’s own goals and objectives (as Finland is implementing). 20. Include futures as we include history in the curriculum. Teach alternative visions of the future, foresight, and the ability to assess potential futures. 6. Make Tele-education free everywhere; ubiquitous, lifelong learning systems. 2. Shift education/learning systems more toward mastering skills than mastering a profession. 3. In parallel to STEM (and/or STEAM – science, technology, engineering, arts, and mathematics) create a hybrid system of self-paced inquiry-based learning for self-actualization; retrain teachers as coaches using new AI tools with students. The 15 other actions are listed in no particular order, some complementing initiatives on the ground, particularly in the Liège-Luxembourg academic Pole. 1. Make increasing individual intelligence a national objective of education (by whatever definition of intelligence a nation selects, increasing “it” would be a national objective). 5. Continually update the way we teach and how we learn from on-going new insights in neuroscience. 7. Unify universities and vocational training centres and increase cooperation between schools and outside public good projects. 8. Utilize robots and Artificial Intelligence in education. 9. Focus on exponential technologies and team entrepreneurship. 10. Change curriculum at all levels to normalize self-employment. 11. Train guidance counsellors to be more future-oriented in schools. 12. Share the responsibility of parenting as an educational community. 13. Promote “communities of practice” that continually seek improvement of learning systems. 14. Integrate Simulation-Based Learning using multiplayer environments. 15. Include learning the security concerns with respect to teaching (and learning) technology. 16. Incorporate job market intelligence systems into education and employment systems. 17. The government, employers across all industry sectors, and the labour unions should cooperate in creating adequate models of lifelong learning. 18. Create systems of learning from birth to three years old; this is the key stage for developing creativity, personality. 19. Create mass public awareness campaigns with celebrities about actions to address the issues in the great transitions coming up around the world . We can appreciate that these actions do not all have the same relevance, status or potential impact. That is why the top five have been highlighted. However, the majority are based on a proactive logic of increasing our capacities for educating and emancipating men and women. The fact that these actions have been thought about on all continents, by disparate stakeholders, with a genuine convergence of thought, is certainly not insignificant. As regards Wallonia, and Liège in particular, we are familiar with the need to create value collectively so that we are able to make ourselves autonomous and so that we can be certain of being able to face the challenges of the future. Without question, we must place social cohesion and energy and environmental risks at the top of this list of challenges. Innovative and creative capacities will be central to the skills that our young people and we ourselves must harness to address these challenges. These needs can be found at the core of the educational and learning choices up to 2050 identified by the Millennium Project experts. The 1985 report on The Intelligence Revolution, as highlighted by Raymond Collard, is both distant from us in retroforesight terms and close to us in terms of the relevance of the long-term challenges it contains. In this respect, it fits powerfully and pertinently into our temporality. In the report, Thierry Gaudin and André-Yves Portnoff noted that setting creation in motion means sharing questions before answers and accepting uncertainty and drift. Dogmatism is no longer possible (…) as a result, utopia is evolving into realism. In the long term, humans are the safest bet . Of course, betting on humans has to be the right decision. It is men and women who are hard at work, and who must remain so. This implies that they are capable of meeting the challenges, their own and also those of the society in which they operate. Technically. Mentally. Ethically. This text is a revised version of a speech made at the start of the HELMo 2018-2019 academic year, on 18 September 2018, on the subject of The jobs of tomorrow... A question of intelligence. The experts that attended the IFTF workshop in March 2017 estimated that around 85% of the jobs that today’s learners will be doing in 2030 haven’t been invented yet. This makes the famous prediction that 65% of grade school kids from 1999 will end up in jobs that haven’t yet been created seem conservative in comparison. The next era of Human/Machine Partnerships, Emerging Technologies, Impact on Society and Work in 2030, Palo Alto, Cal., Institute for the Future – DELL Technologies, 2017. In particular, his best book: Jeremy RIFKIN, The End of Work, The Decline of the Global Labor Force and the Dawn of the PostMarket Era, New York, Tarcher, 1994. Dorothée KOHLER and Jean-Daniel WEISZ, Industrie 4.0, Les défis de la transformation numérique du modèle industriel allemand, p. 11, Paris, La Documentation française, 2016. François BOURDONCLE, La révolution Big Data, in Pierre VELTZ and Thierry WEIL, L’industrie, notre avenir, p. 64-69, Paris, Eyrolles-La Fabrique de l’Industrie, Colloque de Cerisy, 2015. Philippe DESTATTE, The New Industrial Paradigm, Keynote at The Industrial Materials Association (IMA-Europe) 20th Anniversary, IMAGINE event, Brussels, The Square, September 24th, 2014, Blog PhD2050, September 24, 2014. Thierry GEERTS, Digitalis, Comment réinventer le monde, Brussels, Racine, 2018. La Révolution de l’intelligence, Rapport sur l’état de la technique, Paris, Ministère de l’Industrie et de la Recherche, Sciences et Techniques Special Edition, October 1983. John NAISBITT, Megatrends, Ten New Directions Transforming our Lives, New York, Warner Book, 1982. – London and Sydney, Futura – Macdonald & Co, 1984. Alvin TOFFLER, The Third Wave, New York, William Morrow and Company, 1980. André-Yves PORTNOFF, Raymond Collard, un tisseur de liens, Note, Paris, 10 September 2018. Bertrand GILLE dir., Histoire des Techniques, Techniques et civilisations, Technique et sciences, Paris, Gallimard, 1978. Pierre LEBRUN, Marinette BRUWIER, Jan DHONDT and Georges HANSOTTE, Essai sur la Révolution industrielle en Belgique, 1770-1847, Brussels, Académie royale, 1981. Raymond COLLARD, Prospective 2007… sorties de la crise, transformations des modes de production, du travail et de l’emploi, dans La Wallonie au futur, Cahier n°2, p. 124, Charleroi, The Destree Institute, 1987. R. COLLARD, Prospective 2007…, p. 124. This was his 1953 lecture. Martin HEIDEGGER, Essais et conférences, Paris, Gallimard, 1958. – Our translation. La Révolution de l’intelligence…, p. 182. La Révolution de l’intelligence…, p. 24. Didier VRANCKEN, L’histoire d’un double basculement, preface to D. VRANCKEN, Le crépuscule du social, Liège, Presses universitaires de Liège, 2014. Thierry GAUDIN, Les dieux intérieurs, Philosophie de l’innovation, Strasbourg, Koenigshoffen, Cohérence, 1985. Raymond COLLARD, Le Groupe permanent Recherche – développement de Louvain, p. 11, Brussels, Centre scientifique et Technique de la Construction (CSTC), 2000. Permanent Leuven Research and Development Group, 37th year, Peut-on industrialiser la créativité?, 2002. – François PERROUX, Industrie et création collective, t. 1, Saint–simonisme du XXe siècle et création collective, p. 166, Paris, Presses universitaires de France, 1964. Jerome GLENN, Results of the Education and Learning Real-Time Delphi that assessed 20 long-range actions to address future works-technology dynamics, Sept 2, 2018. La Révolution de l’intelligence…, p. 187.